The Scoop: Attractive Partners has gained prominence in the dating industry by focusing on helping women thrive in the 21st century. The UK dating agency supports female-friendly services, empowering events, and progressive principles. These seasoned matchmakers do more than simply match clients on dates — they inspire single professionals to gain confidence in themselves and live life to the fullest. The company’s mission is to see women succeed in dating, business, and all areas of life. 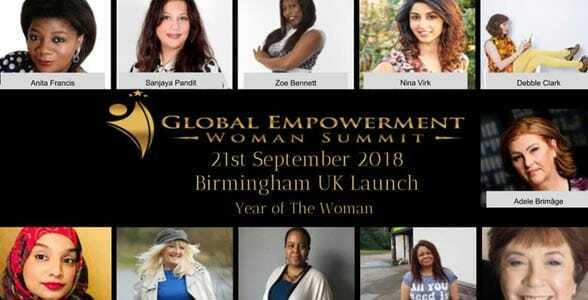 In September 2018, Attractive Partners encouraged ambitious women to raise their voices and learn from one another at the Global Empowerment Woman Summit in Edgbaston. In 1918, UK’s suffrage movement declared a partial victory when Parliament passed the Representation of the People Act 1918. This act extended the right to vote to women over 30 and thereby enfranchised 8.4 million women throughout the UK. 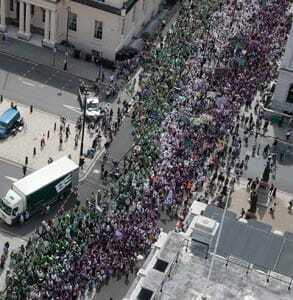 Women and men poured into the London streets to celebrate 100 years since the UK granted voting rights to women. Ten years later, when it was clear women’s votes hadn’t crashed the government, the powers that be deemed the women’s suffrage experiment a success and opened the voting booths to all female citizens over the age of 21. It’s been 100 years since women won the right to vote in the UK, and yet the fight for gender equality hasn’t slackened. In the wake of the #MeToo movement, women have once again entered the political arena with a clear message and firm resolve. Their voices have already sparked noticeable change in how women are treated in the workforce and in the dating scene. The experienced matchmakers at Attractive Partners, a UK dating agency, welcome this cultural shift and have taken action to support women’s empowerment around the world. Attractive Partners is a progressive dating agency fueled by women in the UK. Its clients are strong, successful women who value equal, respectful relationships. They don’t need help finding a date — they need help finding the right date. Attractive Partners is a dating agency that caters to single professionals in the UK. This personalized introduction service doesn’t put clients in front of any ol’ date. The matchmakers take the time to find someone who is their client’s true equal in heart and mind. They want to arrange dates that lead to lasting relationships, and that process can take time. The matchmakers pride themselves on running a contemporary and boutique firm that meets the needs of the modern woman. The team focuses on helping clients build self-confidence and cultivate a full life. That means not settling or compromising their worth. The Attractive Partners matchmakers believe that women deserve nothing less than the best, and that’s what they intend to deliver. Attractive Partners has responded to the Year of the Woman by taking proactive steps to empower women in the dating scene. This is a cause the matchmakers feel strongly about and proudly support. In 2018, the matchmakers attended the Global Empowerment Woman Summit (GEWS) in the UK in partnership with Inspire Girls Rock and WIB-Midlands. This summit created a forum for female entrepreneurs and industry leaders to discuss constructive ways forward. Ambitious and smart women gathered at Edgbaston Priory to network with one another and offer instrumental advice and support. The Global Empowerment Woman Summit fostered a conversation about what it means to be a successful entrepreneur in the 21st century. The Global Empowerment Woman Summit showcased seminars led by professional coaches and a Law Clinic where solicitors answered participants’ legal questions and advised them on business matters. Headliners at the event included Anita Marie Francis, Desmond O’Connor, Zoe Bennet, Nina Virk, and Sanjaya Pandit, among others. Attractive Partners reached out to many movers and shakers in the dating scene and business world to inspire women to take the lead in their lives. Attractive Partners has an obligation to keep its clients safe as they go through the dating process, and that’s a responsibility the team takes seriously. Trelawney told us the matchmakers have made a commitment to follow and promote the Dating Agency Association’s guidelines to ensure clients know how to protect themselves from unsavory characters. Attractive Partners is a member of the Dating Agency Association and follows its code of conduct. The DAA’s Dating Safely Campaign has positively influenced many UK dating agencies, including Attractive Partners. It outlines common-sense precautions and guidelines for staying safe while meeting someone new online and in person. These dating experts advise singles not to drink heavily and to arrange their own transportation on a first date. If something doesn’t feel quite right, the guidelines recommend leaving the date immediately and without hesitation. “We follow the Dating Agency Association’s Dating Safely Guidelines to encourage everyone to put their own well-being at the top of their agenda when seeking a new partner,” Trelawney said. 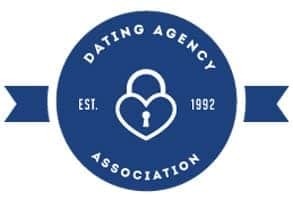 The Dating Agency Association holds dating agencies as well as daters accountable for maintaining safe practices and vetting potential partners with the utmost care. Now, 100 years after the suffragettes made history, a new generation of women are stepping into their power and taking up the flag of rebellion, as Emmeline called it. So far, the #MeToo movement has impacted the movie industry, the political sphere, the business sector, and the dating scene, and it’s only getting started. Attractive Partners stands in support of women’s empowerment. This forward-thinking dating agency has partnered with upstanding organizations to embolden and uplift single women around the world. Hayley is the Editor-in-Chief of DatingNews, and she handles editorial schedules, interviews, social media, and partnerships, among other things. She's been in the dating industry for more than six years, and her work has appeared in numerous publications, including Bustle, Cosmo, the Huffington Post, AskMen, and Entrepreneur.